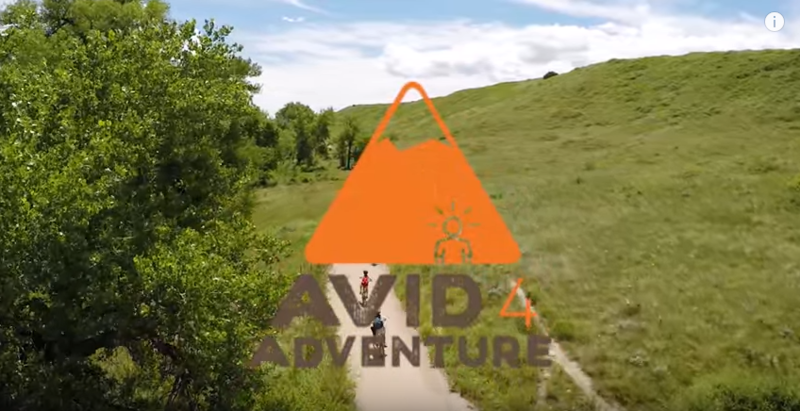 At Avid4 Adventure for kids in Colorado and California, we teach every kid—from first-time adventurers to experienced athletes, from pre-K through 12th grade—how fun and empowering being active outdoors can be. As they hike, bike, climb and paddle, kids build lasting skills and newfound confidence, igniting a passion for being active that lasts their whole lives. If you’ve never seen our teaching in action and wonder if adventure sports are right for you or your camper, our instructors create a welcoming environment that supports campers at all skill levels, including those who fear water to those who dive right in. Adventure sports have an incredible power to help us all learn what we are capable of, not to mention the joy they can bring to our lives! Take a look and learn more about how we teach paddling. Every camper at Avid4 Adventure receives a passport outlining the skills we’ll teach at camp. Given that campers have varying levels of expertise with our sports, instructors group campers according to ability to provide them the right level of challenge. Below is a list of skills we take campers through when kayaking. By attending multiple weeks and summers, campers can master skills from Eddies to River Rats! I can safely enter a kayak that is on water with 3 points of contact. I can paddle a kayak with alternating sweep strokes. I can turn my kayak to the left and right using sweep strokes. I can use my paddle to stop my kayak safely. I understand the risks associated with kayaking. I practice Leave No Trace while kayaking. I can paddle my kayak toward a destination in a straight line. I can paddle my boat forward and backward with true forward/backward strokes. I can use a draw stroke to move my boat to the side. I can “edge” my kayak and paddle without capsizing. I know how to do a T-rescue on flat water. I can do a wet exit when my kayak flips over. I have practiced throwing and receiving a throw rope. I have learned about reading water and can point out holes, waves, eddies and pillows. I can paddle a kayak in moving water. I swam a stretch of rapids with my toes and nose up. I can steer my kayak around obstacles in moving water. I can catch an eddy in moving water. I have learned about river dynamics such as constriction, restriction and elevation change. I swam a stretch of rapids with my toes and nose up. I can steer my kayak around obstacles in moving water. Every camper at Avid4 Adventure receives a passport outlining the skills we’ll teach at camp. Given that campers have varying levels of expertise with our sports, instructors group campers according to ability to provide them the right level of challenge. Below is a list of skills we take campers through canoeing at our multi-sport camps. I can put on a PFD securely. I can turn my canoe to the left and right using sweep strokes. I can paddle my canoe around a figure 8 course. I can stop my canoe in a safe and appropriate manner. I can pull my canoe to the side without turning using the draw stroke. I can communicate effectively with my partners to paddle in a straight line. I can change boats while rafted up. I can identify Leave no trace concepts in a canoeing environment. I have learned and can demonstrate warm up stretches specific to canoeing. I can do a T-rescue on flat water. I understand the risks and potential hazards associated with canoeing. I can effectively use a J-stroke to steer a canoe. I can effectively move my boat to the side by using a draw stroke. I can demonstrate proper canoe paddling technique on my knees. I can paddle my boat while standing on the gunwales. Every camper at Avid4 Adventure receives a passport outlining the skills we’ll teach at camp. Given that campers have varying levels of expertise with our sports, instructors group campers according to ability to provide them the right level of challenge. Below is a list of skills we take campers through when stand up paddleboarding. By attending multiple weeks and summers, campers can master skills from Eddies to River Rats! I know the proper way to hold a SUP paddle. I can paddle a SUP with alternating sweep strokes. I know what to do if I fall off my board. I can re-board my SUP if I fall off in flat water. I can paddle my board while kneeling or sitting on flat water. I can stand on my board and paddle on flatwater. I can launch my board in the water on my own. I can paddle my board with a true forward stroke on flat water. I can stand in paddle stance while moving on flat water. I can use bow and stern draws to move my board. I can paddle standing in different places on my SUP. I can stand in surf stance while moving on flat water. I can point out holes, waves, eddies and pillows. I can paddle a SUP in moving water while kneeling. I have learned about river dynamics such as constriction, restriction, and elevation change. I can avoid falling in moving water with a brace stroke. I can stand up and paddle my board on moving water. I can maintain my balance when going over drops on my board. I have tried surfing my SUP in a hole on moving water. I can ferry my board in moving water. I learned about basic moving water rescue. I can surf my board with no paddle strokes. We use recreational kayaks for our kayaking. In Colorado, campers practice flat water kayaking using the Old Town Heron 9 Kayak, which is perfect for beginning kayakers due to its stability and easy maneuverability. In California, campers use the Ocean Kayak Frenzy, which similarly has a reputation and design for stability and easy maneuverability. We currently only offer whitewater kayaking at select locations in Colorado. Campers participating in our single sport kayaking camp in Colorado will use Jackson whitewater kayaks. We have a variety to fit kids’ sizes and abilities. The Fun 1 and Fun 1.5 are the most commonly used of our whitewater kayaks. We also use the Side Kick. All of our kayaking paddles are kid-size. The shaft is narrower and therefore easier for kids to grip. We use Stand on Liquid inflatable and rigid paddleboards which include the Stand on Liquid Sunset Thermo Rigid board (used in Colorado only), the Stand on Liquid Good Vibes Air 11’ package, and the Stand on Liquid Good Vibes Air 9’6” package. The 9’6″ Air package is manufactured specifically for Avid4 Adventure camps to allow for better maneuverability for younger kids, ages 7-10. It is smaller and narrower than the 11’ board. Stand up paddleboard paddles are vertically adjustable to fit a wide variety of heights. Anytime we are on whitewater, whether in single sport kayaking camps or single sport stand up paddleboarding camps, kids use kayak helmets. We use the Extrasport pfd by Johnson Outdoors. Kids under 50 lbs. will use a Type II pfd which has a two-piece collar behind the head designed to turn a person face up in the water and also has flotation in the chest. Kids over 50 lbs. use the Type III Universal Sport pfd which zips in front and has adjustable side buckles. Paddling camps offered vary by location, so please check your camp’s location for paddle sports offered. Explorer, Skills, and Adventure – Our Multi-Sport camps for entering K – 7th graders where campers practice a different adventure sport every day. These camps offer at least one day of paddling during the session with many of them offering two. Stand Up Paddleboarding – Our Stand Up Paddleboarding Camp for entering 2nd – 7th grade gets campers out on both flat-water and whitewater, experiencing the joy of paddling with scenic perspective while building core strength. Kayaking – Kids entering 2nd – 7th grade enjoy both flat water and whitewater kayaking where they learn proper use of equipment, strokes and rescues, and reading rivers among other skills. Kayaking Level II – Campers from 4th – 7th grade are grouped by grade and experience level to learn intermediate kayaking skills, focusing primarily on moving water. Please visit the website page for your camp to learn more about the the bodies of water we’ll travel to. While no outdoor adventure is totally risk-free, we work hard to minimize risk. Every activity starts with an environmental briefing. Here, campers assess their natural surroundings and the potential risks involved. With the guidance of their instructors, they determine ways the group can stay safe. As a result, kids learn how to approach new challenges with intelligence and confidence. We take a challenge by choice approach to watersports where campers are taught to engage in new challenges and set goals that they feel comfortable with. We meet campers where they’re at and provide opportunities for skill development and personal growth. What if my camper can’t swim? Paddling is a great sport for kids to get comfortable on the water without swimming. Swimming is not a requirement of our paddling programs, with the exception of our Kayaking Single Sport Camp where we require that all participants are competent swimmers. On any paddling day, campers wear PFDs even while on land within 20 ft. of the water. Should campers fall into the water while doing one of our paddle sports, PFDs are designed to keep their heads above water. Our instructors are also trained on how to help campers back into their SUP, kayak, or canoe. The specific PFDs we use can be found in the gear section of this page.